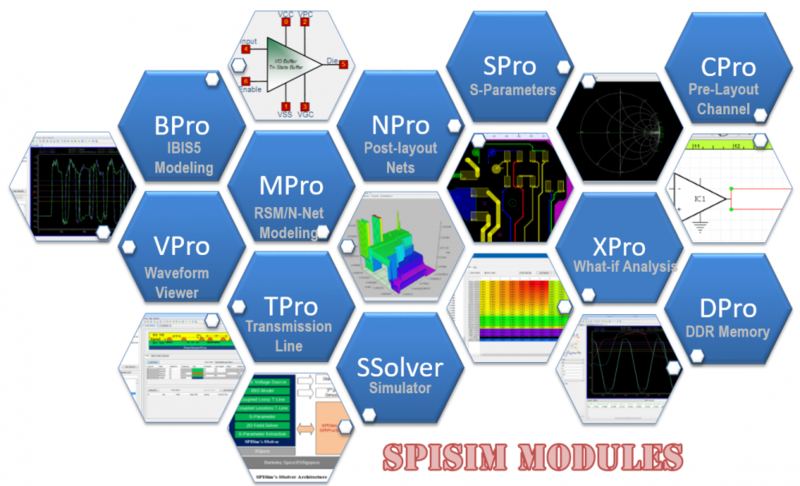 SPISimPro: Our flag ship product providing full range of SI/PI analysis capabilities. Modules may be activated independently to meet your analysis needs. Can enhance with additional capabilities through additional add-ons. Design concepts: Further details on SPISimPro’s design concept are available [HERE]. Cross platform, unified look-N-feel and operation experience, self-patching. Modular designs supporting further customization for your workflow or teams. SPISimPro complete suite slides: [Download].